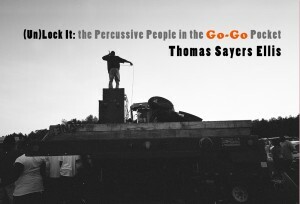 What: “(Un)Lock It: The Percussive People in the Go-Go Pocket” photo exhibition. When: Opening is from 6 to 8 p.m., Friday. The show runs until Oct. 7. Where: The Gallery at Vivid Solutions, 2208 Martin Luther King Jr. Ave SE. Why you should go: Photographer and drummer Thomas Sayers Ellis has been documenting the lives of local go-go stars and shows since the 1980s. His images capture D.C.’s homegrown musical culture even as it appears to be vanishing from the District’s borders. Other events to consider: If you’re between 13 and 17 years of age (or know someone who is) consider attending Portraits After 5, which will feature a youth fashion show, portrait booths and the chance to view art at the National Portrait Gallery. The teen event takes place 6 to 10 p.m., Saturday. I didn’t know that (it wasn’t mentioned in the materials he sent to me). But thanks for including that information!